do you have any special valentine’s day plans? making breakfast in bed for someone you love or hosting a saturday morning brunch? you can make these super simple and festive pancakes below. they take very few ingredients and are a sweet touch on a breakfast favorite. 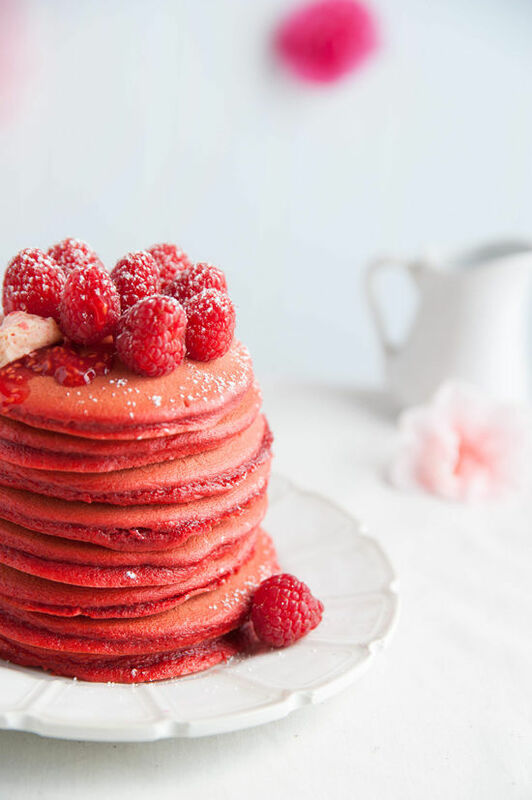 Red Velvet Pancakes: Mix pancake mix, cocoa powder and granulated sugar in large bowl until well blended. Stir in buttermilk, egg, vanilla and food color just until blended. Heat your pan, coat with butter and add 1/4 cup of your mixture. If you’re extra ambitious you can even pour the pancakes into a heart shape cookie cutter. (Note: cooking on low heat will ensure more of a desired red color). Cook 1 to 2 minutes per side, turning when pancakes begin to bubble. 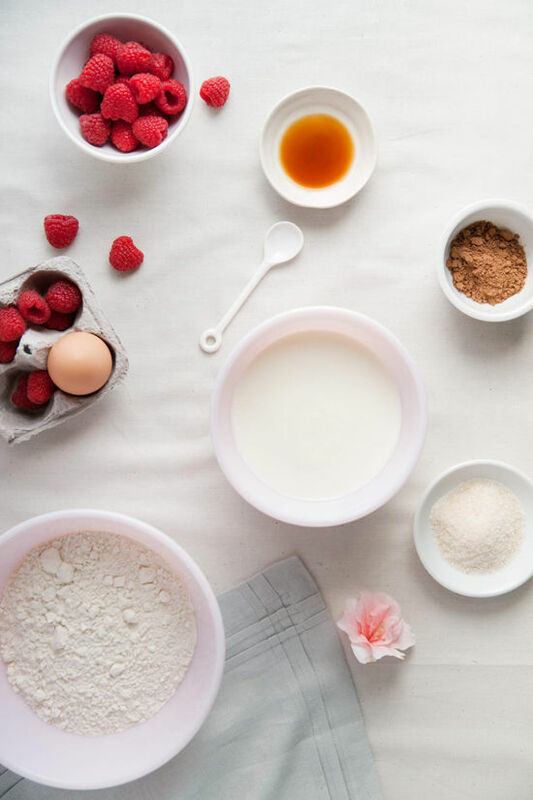 Raspberry Butter topping: Add softened butter and powdered sugar to a stand mixer and mix on high with whisk attachment. 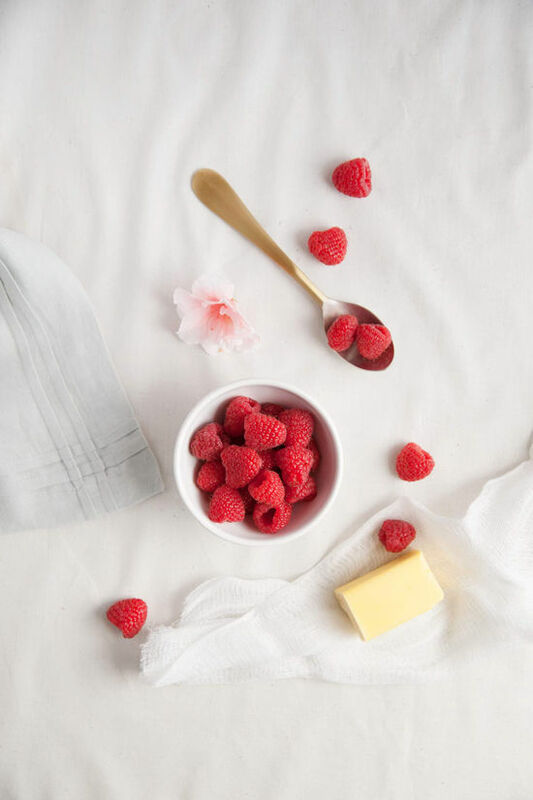 Add the fresh raspberries to the bowl. Mix on medium speed with whisk attachment for 5-10 seconds until the berries break apart. Chill mixture for at least 2 hour until firm. 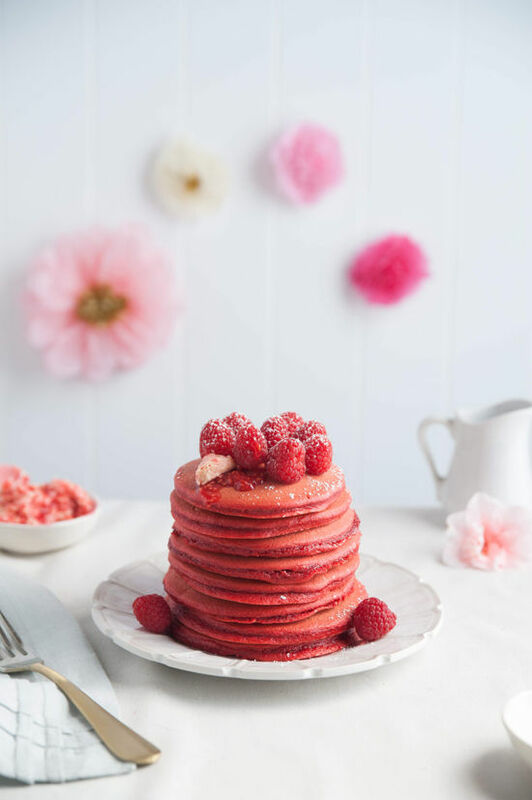 Top pancakes with a layer of raspberries, raspberry butter and garnish with powder sugar. Serve to someone you love! these look delicious!! what brand of pancake mix do you recommend? These look so yummy. My guy loves red velvet, I may just have to try my hand at these this weekend!! Wow, these are totally gorgeous. Definitely gonna try these! These pancakes look so yummy! 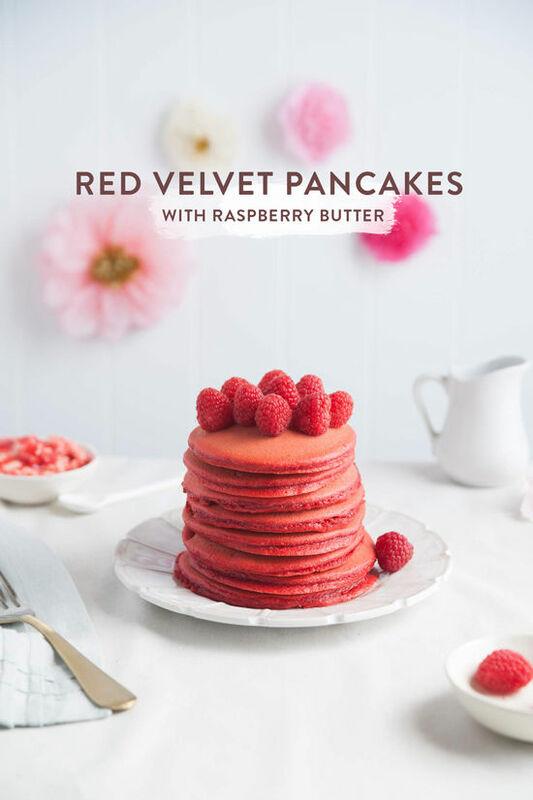 And raspberry butter sounds so delicious! I can’t wait to try out this recipe. Oh these look delicious!!! I am looking away now as I am trying to lose weight! I want some now! Delicious!! Oh my goodness. This combines two of my favorite things! to heed my advice, advances, pleas, begs, howlers, screams, errr. These pancakes look delicious! I really, really want to try these! This was the cutest little recipe I have ever seen! These look and sound amazing, yum! Wow those pancakes look amazing. I really would love to eat them right now!!! WOW – what an amazing recipes. 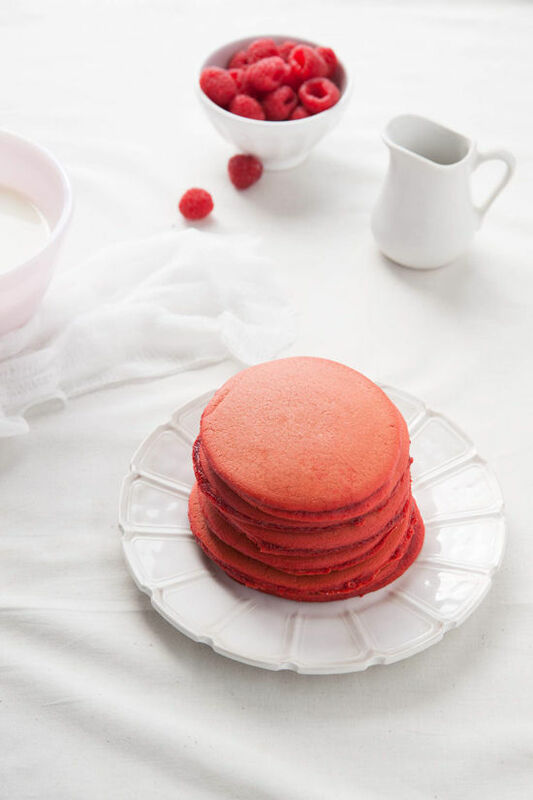 I LOVE pancakes – and the red ones are so cool. I must try to make them.